Drivers tow vehicles mostly out of necessity, but also for convenience. 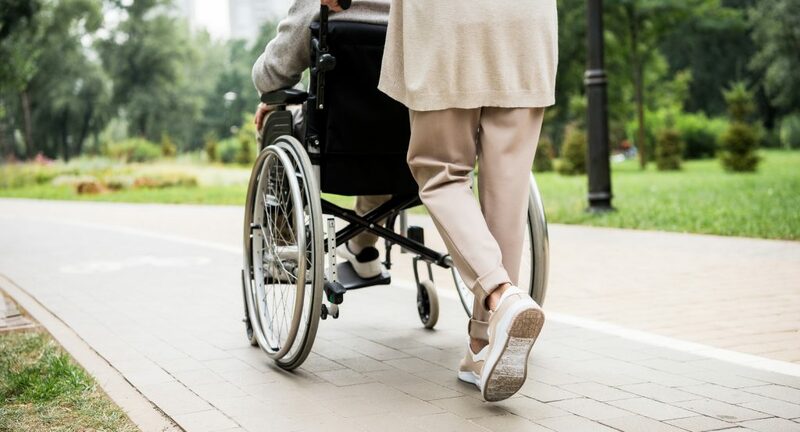 By taking your own personal vehicle with you on your trip, you can save money on taxis, Übers, Lifts, trains, trolleys, buses, and fees to professionally transport a car long distances. If you are planning a road trip that requires you to tow your car, truck, or boat, be sure you know exactly what you need to set everything up correctly. There are 5 basic components you need for a flat tow, plus several other accessories that can enhance both safety and control on the road. 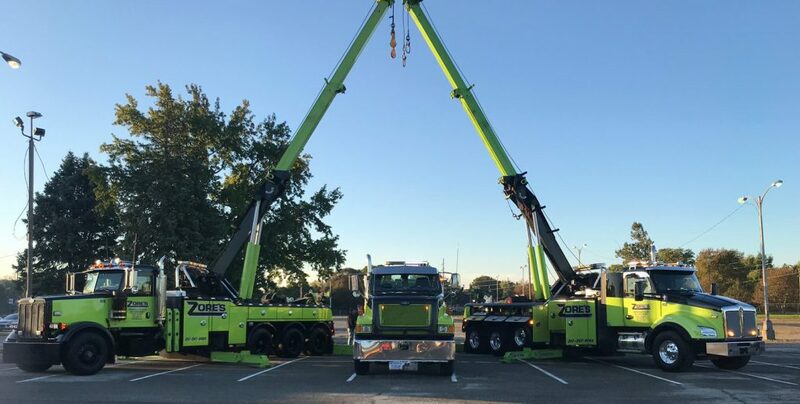 Continue reading to review the 5 basic flat tow components, and who to call for trusted flatbed towing in Indiana if you don’t feel comfortable towing on your own. 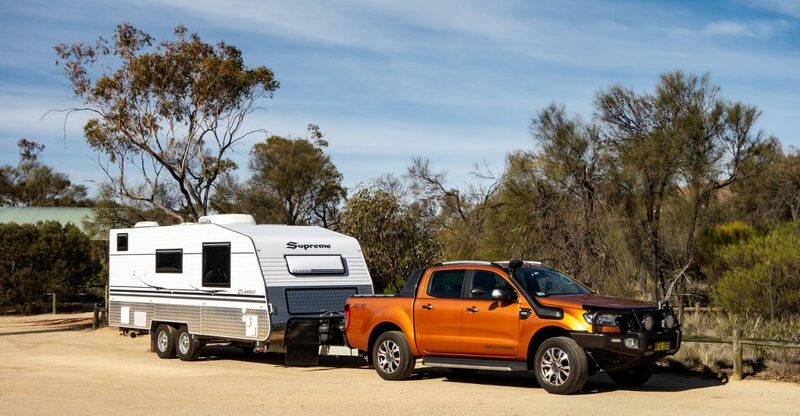 The tow bar is the ultimate basic component because it is the piece that essentially connects your towing vehicle with the towed vehicle. Read our blog, “Basic Facts About Tow Bars” to get understand tow bar assembly better, including popular types of tow bars to choose from. Base plate kits are vehicle-specific, which means you must be sure you get the right one that matches your make and model vehicle. These custom-designed base plates are installed on your car’s frame, which fits perfectly and provides attachment points for a tow bar. You can never have too much safety or control when towing a trailer or vehicle on the open road. A safety cable set will provide this assurance and keep you in adherence with state law. They are designed to keep your dinghy attached to your towing vehicle, and prevent swaying. Another state law required component for your flat tow set-up is tow bar wiring, which is a lighting system on your dinghy that operates in sync with your towing vehicle’s tail lights. Choose from removable exterior light kits, separate tail light bulb kits, and more. The importance of a supplemental braking system for your flat tow operation is explained in the name. Having an extra set of back-up brakes on your dinghy provides added braking power and reduces wear and tear on both vehicle’s brakes. Furthermore, they are requires under law in most states. Call Zore’s Towing at 317-247-8484 for prompt, 24 hour towing and roadside assistance in Indianapolis and its surrounding counties. Our licensed towing and recovery division retains an extensive fleet of over 35 tow trucks and wrecker equipment, allowing us to assist drivers 24 hours a day, 7days a week, and 365 days a year, rain, snow, or ice. Request a free estimate, anytime. When it comes to safe towing, the most important factor is knowledge. And part of this knowledge is knowing your tow weights. This includes the weight of your load, the capacity of your towing vehicle, and your towing trailer’s tongue weight. Most experienced towers are familiar with their load weight and capacities, but many tend to overlook tongue weight, which is equally important as the rest. Continue reading for a brief explanation of these weights, with a primary focus on tongue weight. Tongue weight is the downward force or pressure the trailer puts on the back of the towing vehicle (specifically on the ball by the trailer coupler). Why is this weight measurement important? Well, too much weight on the back of the vehicle can cause it to raise in the front, thus making the rear brakes work too hard. Too little weight can cause the trailer and vehicle to be unleveled, which is dangerous while taking turns or driving at high speeds. ➤ Gross Vehicle Weight Rating (GVWR) – The acronym, “GVWR” stands for “Gross Vehicle Weight Rating”, which refers to the maximum recommended weight of the vehicle or trailer when it is fully loaded in adherence to the manufacturer’s recommendation. ➤ Gross Combined Weight Rating (GCWR) – The acronym, “GCVWR” stands for “Gross Combined Vehicle Weight Rating”, which refers to the combined weight of a trailer and the towing vehicle, including all passengers, as well as, fuel, equipment, and the cargo on the trailer. Unsure of Your Towing Weight Capacities? If you are not sure what your weight capacities are for your trailer and towing vehicle, refer to the owners’ manual for both. See our blog, “What is a Compliance Certification Label and Where is it on My Car?” to learn more about the importance of calculating these figures. If you need to replace a lost owners’ manuals for your trailer and/or vehicle, you can download them online, sometimes for free. 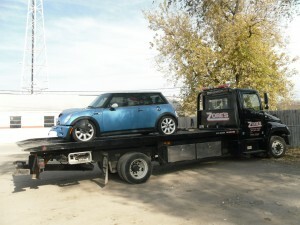 Call Zore’s Inc. at 317-247-8484 for friendly 24 hour towing in Central Indiana. We open a family-owned and operated business for 90 years, so you can trust us for prompt and professional service. We are open 24 hours a day, seven days a week, and 365 days a year, so our certified tow truck operators can be there for you anytime, any day! Request free estimates, anytime. Our February blogs, seen to the right, “How to Transport a Car Across the Country”, and, “How to Test Tire Tread Using a Penny”, have certainly turned this month into the month of “How To’s!” So we why not end the month with one more “How To” blog? After some thought, we realized that many novice towers are always asking questions about setting up hitch receivers and adapters. If you have a trailer and towing vehicle, you might want to review the steps for doing both. Continue reading to learn a quick guide to installing a trailer hitch adapter, as well as, some helpful tips for hitch receivers. Trailer hitch adapters are great because they do just that: adapt. You can use them with a 2 inch hitch accessory with a 1 ¼ inch receiver. 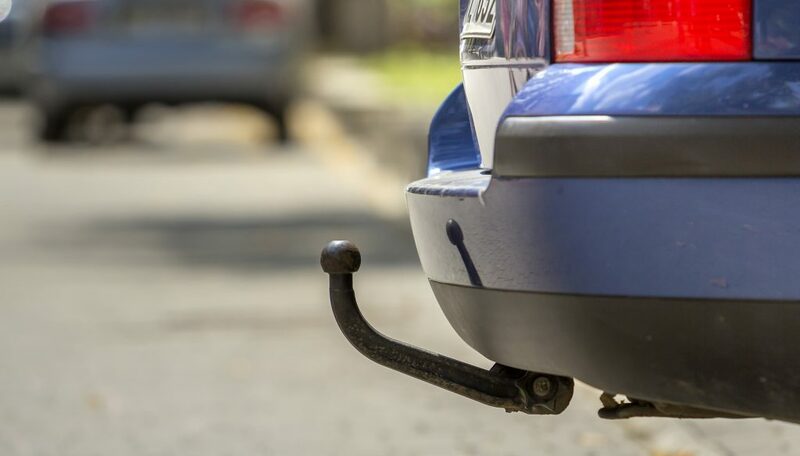 Even better, trailer hitch adapters can also be used with hitch-mounted bike racks and cargo carriers that are designed for a 2 inch receiver hitch. Keep in mind, you still must use cargo support straps to prevent your cargo from moving around or creating strain on your trailer hitch. 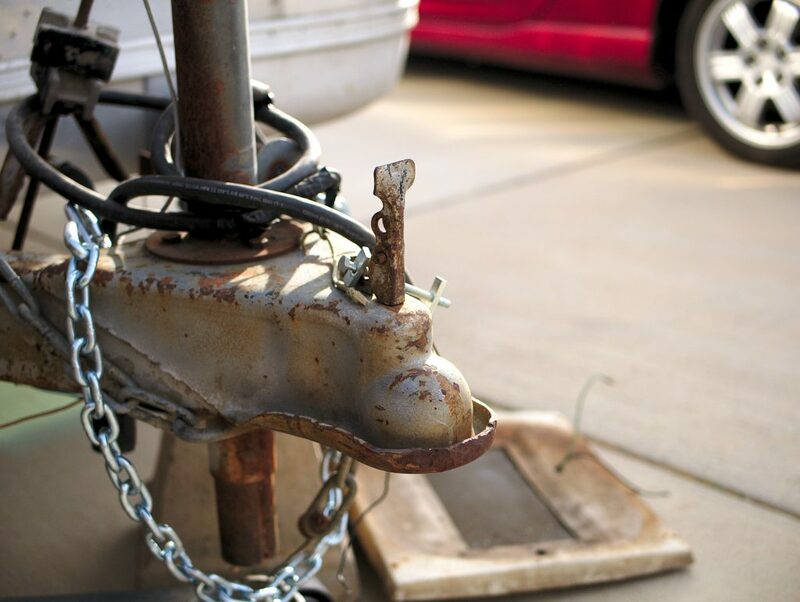 Before getting started, it is critical to DOUBLE CHECK the receiver hitch tongue weight rating. The tongue weight needs to be higher than the combined weight of the cargo and the apparatuses used to secure everything. See our article, “The 5 Hitch Classes and Their Maximum Load Capacities” to learn more about tongue weight (TW) and gross trailer weight (GTW). Step ❶ – Insert the adapter into your vehicle’s receiver hitch. Then secure it with the pin and clip. Step ❷ – Install the 2” hitch accessory, then secure it using the pin and clip. Step ❸ – Secure the hitch accessory with cargo support straps. Step ❹ – Periodically inspect the hitch accessory as you use it to ensure the trailer hitch adapter and cargo straps are still secure and in place. Whether you are relocating for work, loaning a car to a loved one, or just moving far away because an opportunity presented itself, you are likely in need of vehicle shipping if you are taking a plane to your final destination. In order to do this, you will need to follow a particular set of steps. Continue reading to learn the easiest way to transport a car across state lines. The first step to shipping your vehicle across city or state limits is to find a reputable towing company to transport it for you. Be sure you hire a licensed and insured tow truck company that has decades of experience with all kinds of towing. They should retain the proper fleet of trucks and the latest technologies in transport equipment, as well as, adhere to all industry best practices for long-distance towing. This will give you confidence that your car or truck is being transported, safely and professionally. It also means you can expect a timely delivery. The next step you want to take is prepping your vehicle for its journey. Start by cleaning out the interior of the vehicle, and removing any personal possessions. Make sure you deactivate any car alarm systems too. Once you have finished the interior, schedule your car for a routine maintenance appointment at your trusted auto repair shop. They will check all the fluid levels, adjust tire inflation, inspect all the brakes (parking, emergency, etc. ), charge the battery, and more; overall, they will make sure that your vehicle is in good condition. This way, you will know it will be ready to drive once it arrives at its new home. After your vehicle is serviced, take it to a car wash to have the exterior cleaned and waxed. This is important for the next step. NOTE: You do not need to remove the license plate, but be sure the screws are tight and intact. To protect yourself and the transportation company from liability, be sure to take a lot of pictures and even a few video recordings to confirm your vehicle’s condition before the journey. This can be used as evidence if a scratch or ding come into questions by either party. Take pictures of all minor and major defects along the surface, including existing scratches, nicks, paint chips, dings, dents, rust, and more. You should even write down the numbers on your car odometer. When you are done making records, contact your auto insurance carrier to discuss your policy limits. You need to know if your vehicle is covered during its transport, and after it arrives at the new location. NOTE: You won’t need to worry about documenting fluid leaks or internal damage since you’ve recently had the vehicle serviced, professionally. When the towing company arrives to pick up your vehicle, be sure you disclose all the necessary information they need to transport the car safely. This includes telling them of any mechanical problems or defects, regardless of how minor. It is especially important to tell them if your car has problems with its parking or emergency brakes. If your vehicle is in a risky condition, or very fragile, you can even provide the driver with written car handling instructions. 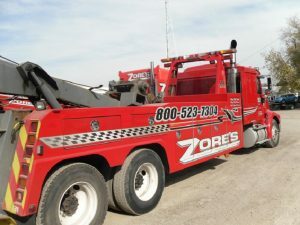 Call Zore’s Towing at 317-247-8484 for safe and affordable flat bed long distance towing service you can trust. Our towing services are comprehensive, ranging from light, medium, and heavy duty tows, to heavy equipment transport, long distance towing, property management, and more. As a family owned and operated company that has been in business for over 90 years, you can trust us for safe and efficient towing any time of day or night. In fact, we are open 24 hours a day, 7 days a week, and 365 days a year! In last month’s blog, we discuss several methods of tire maintenance and care. You learned that colder temperatures cause tires to lose more air, thus requiring them to be inflated more frequently in the winter season. It is important to regularly check tire pressure to ensure that your vehicle is operating as safely and efficiently as possible. Furthermore, it is important that your tires have sufficient tread in order to maintain proper traction and maneuverability on the road. Not sure what good tire tread looks like? Just implement the age-old tire treat penny test! Continue reading to learn how to use a penny to determine the condition of your tire’s tread. You can surely find a penny anywhere. If not in your home, certainly in your cup holder, glove box, pocket or purse, or even on the street! What we mean to convey is, pennies are not hard to come by, making them the perfect and most convenient automotive tool you can have on hand. So how can a penny give you vital information about the quality and condition of your tires? The answer has to do with the size of a penny. But before you can understand this, you must first learn how to implement the tire tread penny test. Vertically insert a penny in between two grooves of your tire so that the penny’s face is looking straight ahead. Inspect Lincoln’s head position. If you can see Lincoln’s face, your tread is low, and you likely need new tires. If you cannot see the President’s head, your tire tread is still in good condition. If you discover that your tire tread is low, it is wise to start thinking about tire replacement. Otherwise, you can be putting yourself and the mechanical operations of your vehicle, at risk. Not only do low tread tires have little traction on the road, they also cause slow or unpredictable braking operations. In wet conditions, low tire tread can cause your vehicle to spin out of control, or veer off the road. Furthermore, low tread causes reduced fuel efficiency, costing you more money in gasoline. If you want to avoid roadside emergencies and car accidents this winter, it is wise to prepare yourself with the right knowledge for driving safer in inclement weather. Continue reading to learn the top 3 recommended actions and considerations for being a safer driver in snow, ice, sleet, hail, fog, and all other harsh elements we might face through the season. Whether it is winter, summer, spring, or fall, it is wise to have a roadside emergency kit in your vehicle at all times. These kits can come in anything from 30-piece kits, to 70-piece kits, and larger. The right kit for you depends on the size of your vehicle, your town’s geography, and your driving practices. Such kits should include basic materials like a spare tire, gloves, tire jack, jumper cables, road triangles, torque wrench, tire pressure gauge, flashlight, and a blanket. 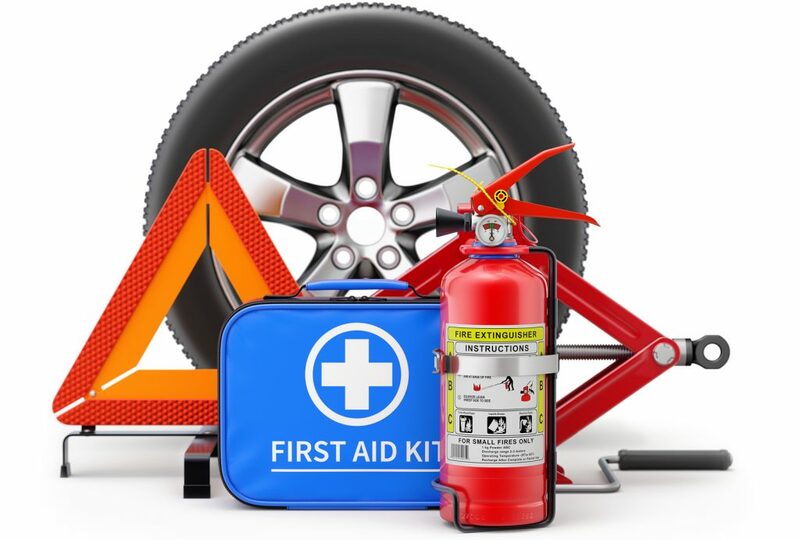 More thorough kits might include a screwdriver set, sockets, electrical tape, emergency flares, hazard flags, reflective gear, AA batteries, fire extinguisher, pliers, utility knife, and even a small medical kit. When temperatures are cold or below freezing, your tires lose pressure more quickly. As a result, tires lose proper connection to the road surface. With a loss of traction, you put yourself at risk of losing control of your vehicle in icy or wet conditions. Before each drive, always check that your tires are fully inflated. At least once per month, be sure to measure the tire pressure too. Check the tag within the driver’s-side doorjamb or your owner’s manual for recommended tire pressure for your make and model car. Also with tires, be sure there is plenty of tread left. 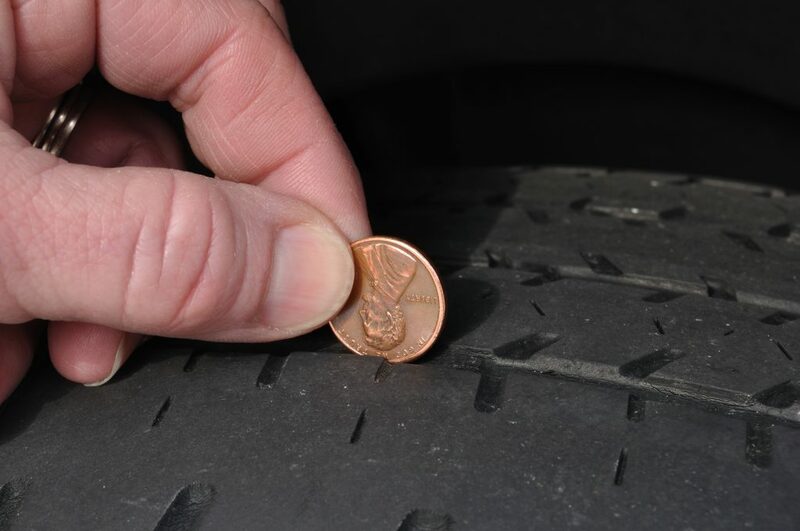 Use the “penny test” to see if you are ready to replace your tires: insert the penny in between your tire tread, and if Lincoln’s head is higher than the tread, you need new tires soon. Just like your tires, your car battery is also affected by cold weather and temperatures. An extended period of freezing cold weather will pull the voltage from car batteries, and eventually prevent the car from starting altogether. To make matters worse, cold temperatures also thicken automotive fluid, which makes your vehicle’s components (like the battery) work harder, thus using up more power. To avoid this problem, be sure you stay on top of routine battery maintenance, as well as all your other factory scheduled measures, such as fluid changes and tune-ups. Read our blog, “The Do’s and Don’ts to Automotive Battery Maintenance” to learn what you need to know about taking care of your car battery all year long. It is common to see vehicles flat-towing other vehicles on the road. This type of towing is called dinghy towing, and continues to be among the most popular and convenient ways to haul. The term, “dinghy” actually refers to yachts hauling small transit boats in their wakes. Dinghy towing has become a very efficient and secure way of towing cars, trucks, and SUV’s. For this reason, an extensive line of specialized equipment was introduced to the market to support this type of towing. 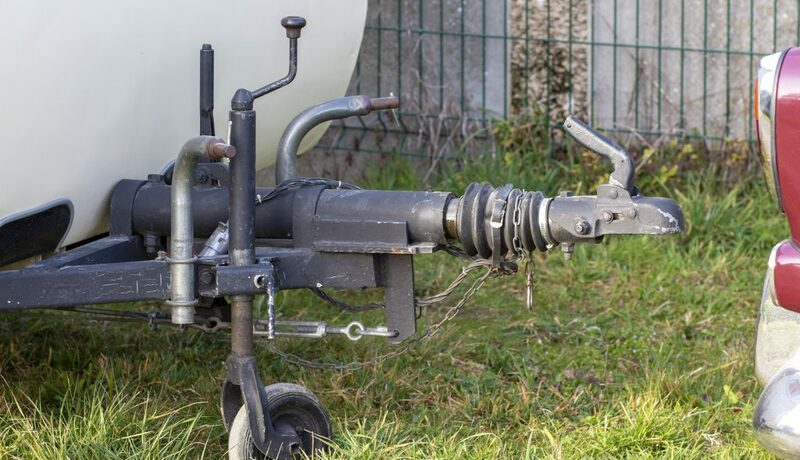 Parts like supplemental transmission lubrication pumps, quick-disconnect couplings for the driveshaft, light wiring, and supplemental brake actuators are towing components that make dinghy-style hauling safer and more efficient. There are two ways dinghy towing is implemented: using a tow bar or using a tow dolly. Continue reading to learn the differences between these two styles, and gain a better perspective of the pros and cons of dinghy towing. When you see, for example, an RV towing a sedan with all four tires making contact with the road, this is dinghy style towing using a tow bar. The tow bar is connected to the front bumper of the towed vehicle, and then trailer lights are attached to the back bumper. 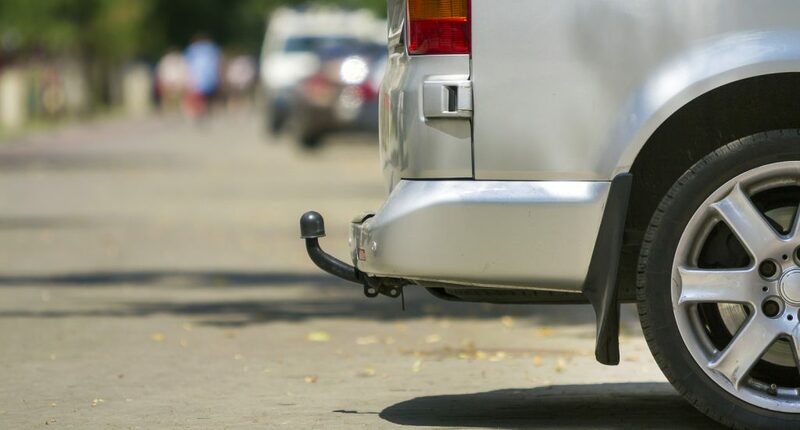 Although reliable, using a tow bar to tow can become complicated since cars are meant to drive on their own power, rather than be towed on the ground. Also, transmissions are designed to be turned by the car’s engine. But when a car is being towed on the pavement, the tires will cause the transmission to turn instead, which could possibly lead to transmission damage. On the other hand, certain vehicles, like Jeeps, are designed with a 4WD mechanism that retains a transfer case, which places the car in neutral, isolating the transmission from the wheels. It is important to always refer to the towed vehicles owners’ manual for manufacturer recommendations before setting it up for tow bar dinghy towing. In contrast to tow bars, tow dollies only allow the rear tires of a towed vehicle to touch the ground. When you see a car being towed with its front wheels raised and its back wheels rolling on the ground, you are witnessing dinghy style towing using a tow dolly. Tow dollies are popular for RV’s that need to tow a car or SUV long distances. A notable downside to tow dolly towing is uneven tire wear. However, routine maintenance and regular tire rotations can help slow this process down. Call Zore’s Towing at 317-247-8484 for safe and affordable Indianapolis tow truck services you can trust. Our licensed and insured tow truck operators provide punctual and prompt tow truck services, 24 hours a day and 7 days a week! We also provide numerous community services, roadside assistance services, wrecker and recovery services, and much more. Call 317-247-8484 to request a free estimate, anytime!